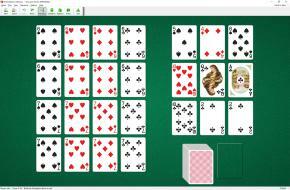 Sixes and Sevens Solitaire uses 104 cards (2 decks). All Sixes and Sevens are removed from the deck and arranged into a 4x4 square as base cards for the foundations. You also have 9 tableau piles (in a form of a 3x3 square). 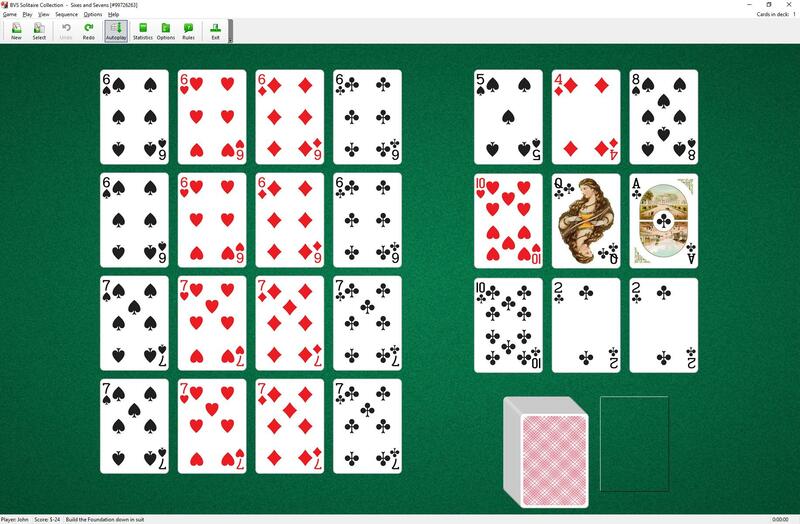 One card is dealt into each tableau pile at the start of the game. Each tableau pile may contain only one card. To build sixes down in suit to aces and to build sevens up in suit to kings. The top card of each tableau pile is available for play on the foundations. Spaces are filled from the waste or stock. The top card of the waste pile is also available to play on the foundations.